This page features one set RGB Multi-Color LED Angel Eyes Kit with RF remote control for 2010-up Hyundai Genesis Coupe headlight retrofit. 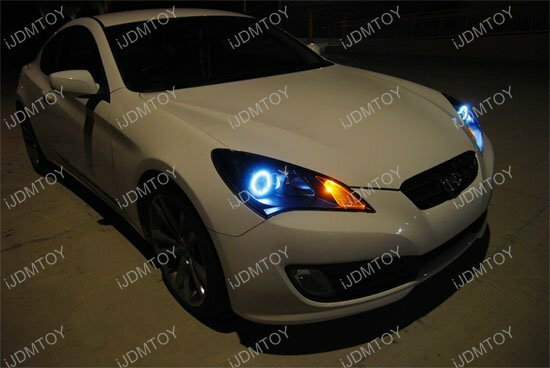 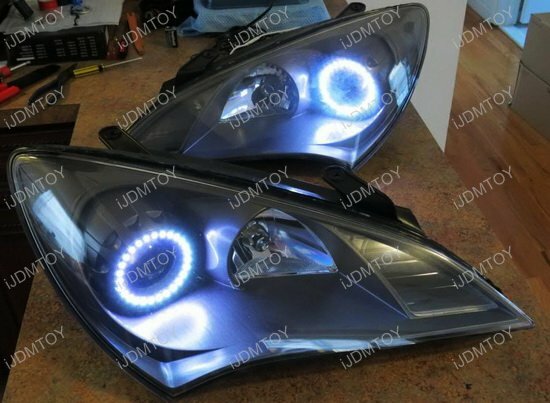 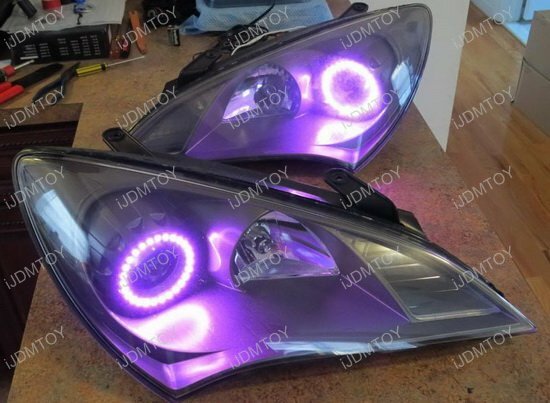 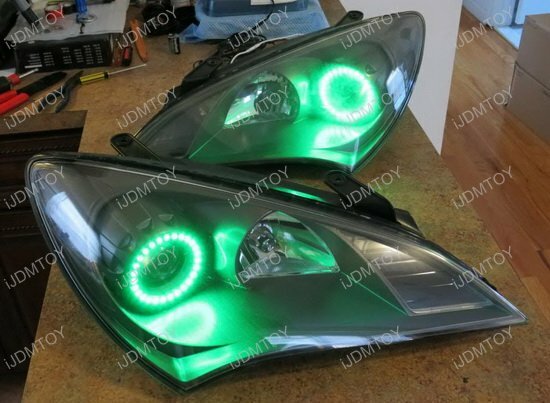 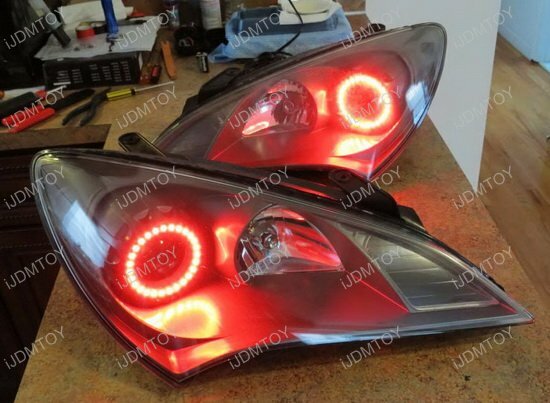 This RGB LED angel eye kit will convert the the Genesis Coupe's headlamp low beam projector with halo rings around it. 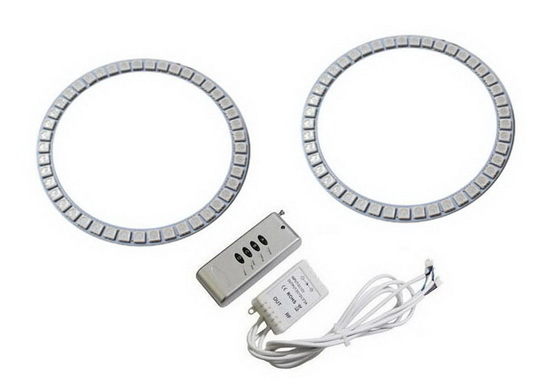 My grandson says these LED halo rings are top-notch!